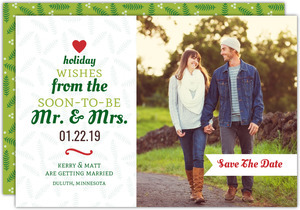 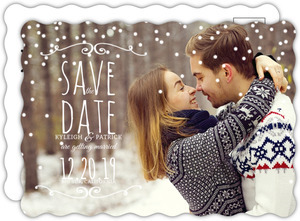 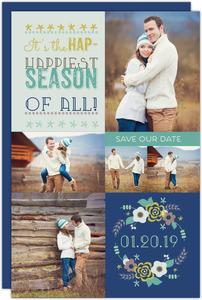 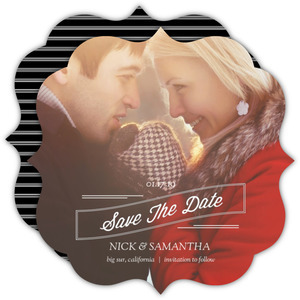 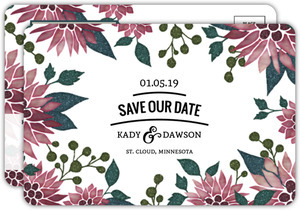 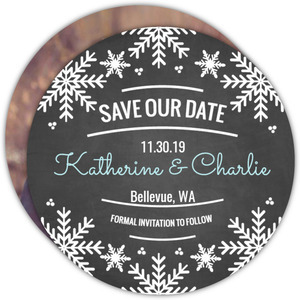 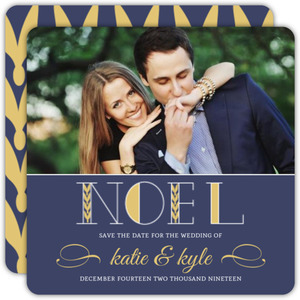 Holiday Save the Dates can be sent if the wedding is in winter, but they're usually sent when the couple is engaged around the holidays and planning a wedding thereafter. 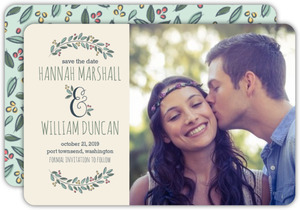 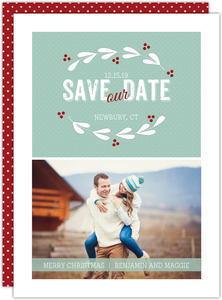 The wedding itself doesn't have to be a holiday theme, so don't worry about sending seasonal save the dates. 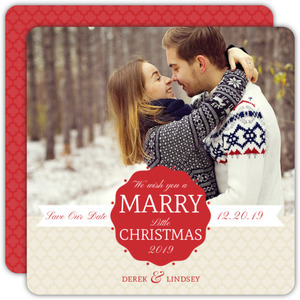 These are here for anyone to use however, no matter when you got engaged or when the wedding is. 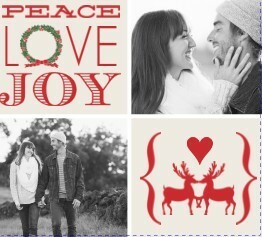 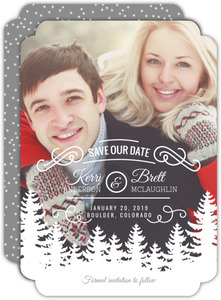 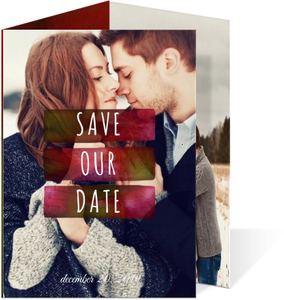 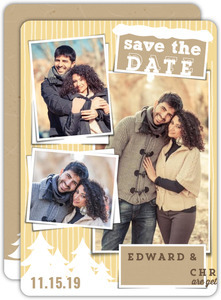 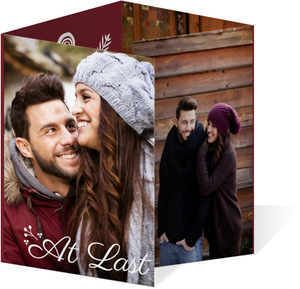 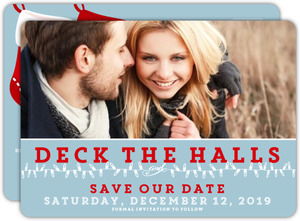 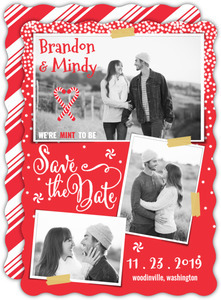 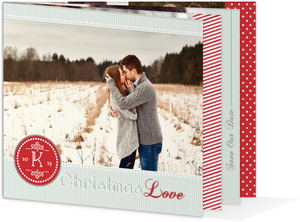 If you want to send a holiday save the date card, you go right ahead. 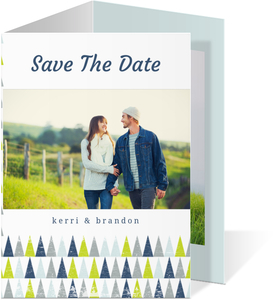 We'll print and ship them just the same, with love and care.